Liverpool manager Jürgen Klopp says that his squad is still "very positive" despite suffering two defeats on the bounce across all competitions, playing down the club's famed poor winning run in January. Since taking over in 2015, Klopp has guided his team to just eight wins in their 26 matches throughout January. Having lost their opening two games already this year, Liverpool can get back to winning ways against Brighton & Hove Albion on Saturday. Klopp insists that there is no real reason for the stats surrounding Liverpool's form in January, adding that a Premier League match against Manchester City at the turn of the year isn't down to a bad record, but rather an unfavourable draw from the fixture generator. "I don’t see a specific reason for that," Klopp said, quoted by the Guardian. "So far we’ve lost one Premier League game in January and that was Manchester City away. "That’s not a sign of a bad record in January. It’s just a sign of a really difficult game. I’ve never felt bad in January. It’s just that December is a tough month to go through for all of us." 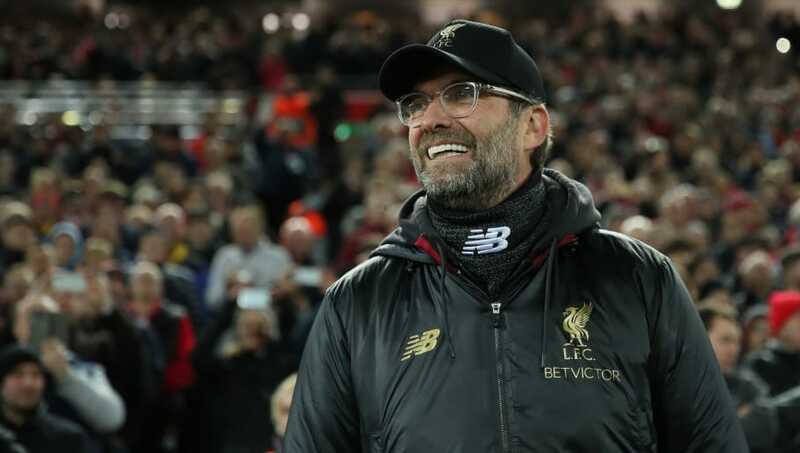 Klopp added that the responsibility of Liverpool's second defeat this month, in the FA Cup against Wolverhampton Wanderers, rested on his shoulders due to the number of changes he made ahead of the match. "Then we go to Wolves and I make the changes. That says more about me than the team, so let’s carry on," he added. "It’s a normal situation, it’s still very positive. "It’s only people who are insecure who would say we are going in completely the other direction and have lost belief. We have to prove it [that is not the case] on the pitch again."